This was yesterdays dinner. 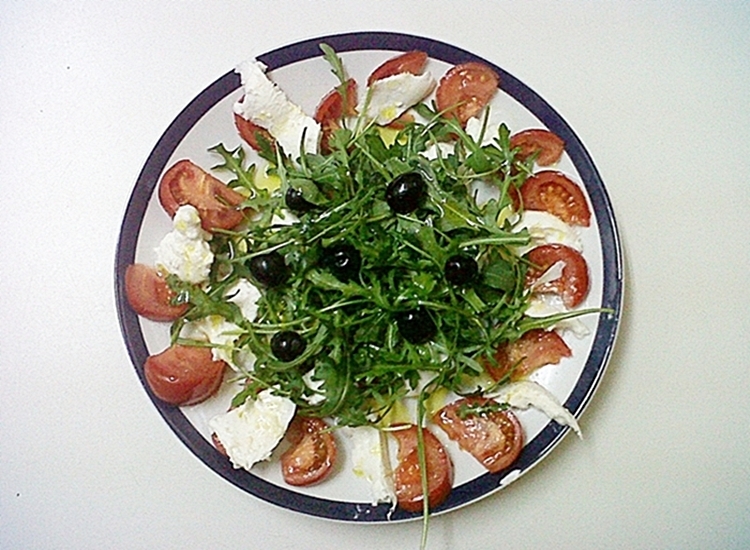 This salad it's delicious and it tastes like a pizza! It was taken with mi bb, so the quality isn't the best. Sorry for not blogging yesterday. My deepest apologies to you all, but today was my last exam!!!!! I'M FREE!!! WIIIII!!!! Look delicious! I will love if you come to see my page and follow me if you like it ! Yay that your exams are over! You must be so glad hun. This salad looks like something I'd love! I've never tried arugula before, I haven't even seen it anywhere in stores here. greeks favorite dishes are salads with tomato and olives. So yummy! Salads are always perfect. Love e salad&enjoy e freedom! que buena pinta, enhorabuena por acabar los exámenes, espero que fueran bien! !